Built of local schist between 1875 and 1877, the courthouse served the goldfield wardens who had asked for public offices. 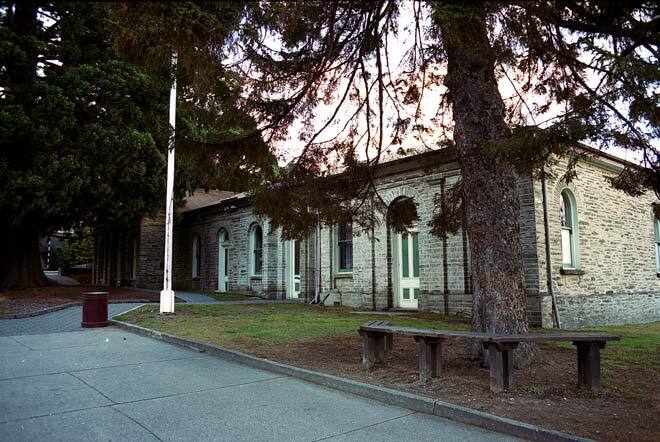 Prior to its construction the two wardens serving Queenstown and Arrowtown had been operating out of tents that served as gold receiver’s office, sleeping quarters and courthouse. Permission of Heritage New Zealand Pouhere Taonga must be obtained before any re-use of this image.